Smashing plates evoke images of ouzo, “oopah!” and Anthony Quinn. It is also the title of the latest, much-lauded cookbook from British celebuchef Maria Elia, who just happens to be heading up the kitchen at newcomer Jimmy’s at the Landing in South Lake Tahoe. Elia, who grew up in her parents’ London restaurant, has worked with renowned chefs such as Stephen Terry at Coast in London, with Ferran Adrià at El Bulli in Catalonia, and Juan Mari Arzak at San Sebastián’s Arzak. Named by The Independent as one of ten female chefs to watch, she was lead chef at London’s trendy Delfina, Michelin-mentioned Whitechapel Gallery Dining Room and Joe’s, and in addition to her three cookbooks, is a British TV cooking show regular and food columnist. On this side of the Atlantic, she was recently featured in the New York Times and on the Today show. A summer of tinkering with traditional Greek recipes at her father’s taverna in the mountains of Cyprus culminated in Smashing Plates: Greek Flavours Redefined, in which Elia takes an innovative, modern approach to the region’s Mediterranean standards. The book is the basis for the wood-fired, regional California menu at Jimmy’s, which launched last December with some star power from model Heidi Klum and Grammy-winner Babyface Edmonds. 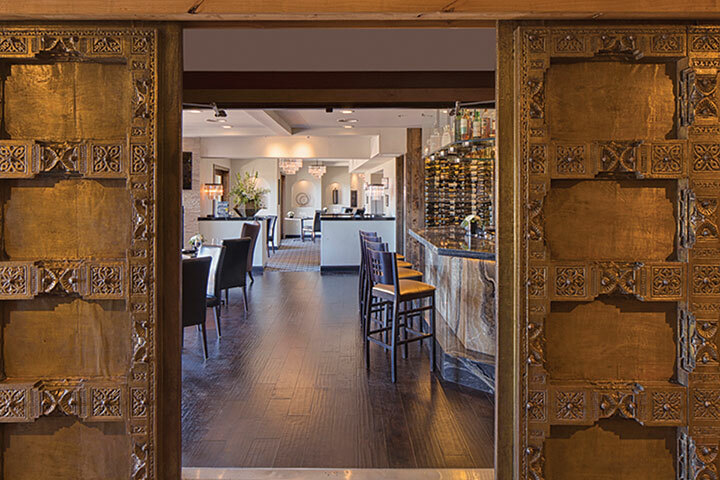 “I got a random email from Jim that he was looking for a chef to cook Greek food in Tahoe,” says Elia, referring to Beverly Hills–based owner Jim Demetriades, who, with his wife Nancy, owns the 88-room Landing Resort & Spa boutique property on Lakeshore Boulevard, just out of earshot of the Stateline casino strip. 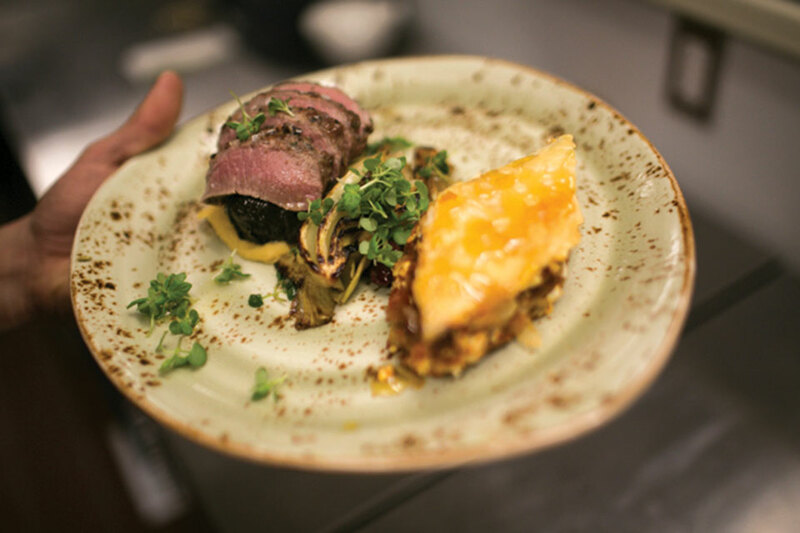 The Demetriadeses, who launched a similar upmarket spread in Mammoth Lakes a few years ago, undertook a six-month search before landing Elia as their chef. Elia’s seasonal menus for the 100-seat contemporary restaurant focuses on meze, or small plates, to showcase hot, cold, savory and sweet produce, dairy, seafood and some meats. 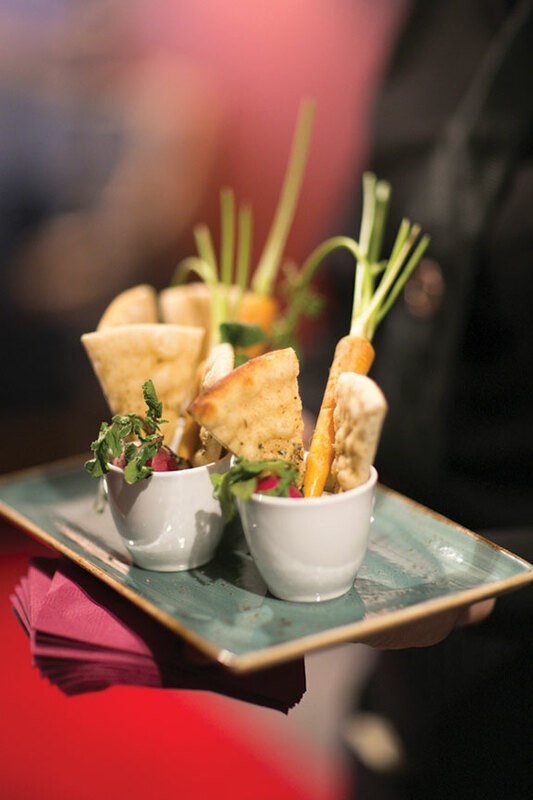 An appetizing way to start, share or make a meal so popular in Greece, Cyprus and elsewhere, has taken awhile to catch on with a more traditionally minded Tahoe dining crowd. Priced à la carte or five dishes for $45, there’s chili- and clementine-marinated prawns served atop a cauliflower skordalia. The tomato, feta and almond baklava is a savory, umami-rich take on the traditionally sweet dessert and is accompanied by grilled artichoke slices and Kalamata olives. Several dishes show off the best of the Med’s cheeses: Manouri, a creamy house-made semi-soft cheese is spread on honey lavash then topped with apricots and almonds. Halloumi, a semi-hard salty Cypriot cheese is grilled along with mission figs and finished with a white balsamic and sage reduction. In a dessert-worthy dish, feta is wrapped in kataifi—golden-brown threads of filo dough, warm on the inside, crunchy on the outside and redolent of oregano and honey syrup. Larger plates also layer flavors without being too fussy, most starting with the wood-fired grill: There’s squid served on a spring onion skordalia with compressed cucumber and sumac. A whole fish—perhaps branzino, also known as European sea bass—plated with lemon-roasted potatoes or halibut fillet with carrot red lentil salad and tahini yogurt. A vegan grilled cauliflower steak is prepped with pistachio and cauliflower couscous. The lamb loin comes with goat’s curd, fava beans, peas and asparagus. Lunch is a more casual and less expensive lineup than dinner. “We use the wood-fired oven to make a pizza topped with a white sauce and moussaka. Who puts moussaka on pizza?” says Elia. The British staple fish and chips get a Hellenic twist with an ouzo fennel slaw. Off the dessert menu, baklava, perhaps flavored with apricot and lavender, could be considered an all-day food. For the Greek coffee, Elia adds cardamom and cinnamon to coffee, then turns it into a ganache, which she layers atop chocolate cookie crumbs and crowns with tiny scoops of avocado ice cream. While Elia aims for as much local and regional product as possible, ingredients like Greek feta and honey come from Europe; the stone-ground polenta and American honeys come from as close as Carson City. To answer the question of what to drink with these simple but exotic flavors, start at the handsome onyx bar with a Jimmy’s Greek mojito mixed with ouzo, rum, mint, lemon and ginger. Drink in the views of The Lake and mountains past the glass fold-away walls, or if the weather is fine, grab a patio seat at one of the four fire pits. A glass wine wall houses 2,000 bottles, managed by sommelier Jacob Eubank. The Wine Spectator–recognized list of some 250 labels includes Greek wines by the glass or by the bottle: Assyrtiko is a white grape indigenous to the island of Santorini. Malagousia, a Macedonia chenin blanc with the body of a chardonnay, was until recently a virtually extinct varietal. Italian, Spanish, Lebanese, as well as lesser-known California and Oregon bottlings also pair well with the menu. “Life is a series of adventures, isn’t it?” Elia says of her decision to make the culinary move from one of the world’s biggest cities to a smallish Tahoe town. While Smashing Plates (of which signed copies are available for sale) refers to the ritual shattering of crockery, it also plays on the British English word for anything “extraordinarily impressive.” Oopah.